What I love about springtime is flowly dresses, breezy skirts, and billowy tops. What I don't like about spring can be summed up in one word: POLLEN. Is anyone else sneezing every five minutes or is it just me?! Pollen is stuck to my car and has settled into my contacts and is just ruining my day at the moment, so let's hope it goes away soon. However, the best part about spring? 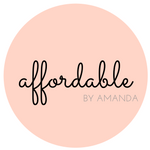 New clothes, new accessories, and brand new makeup products! 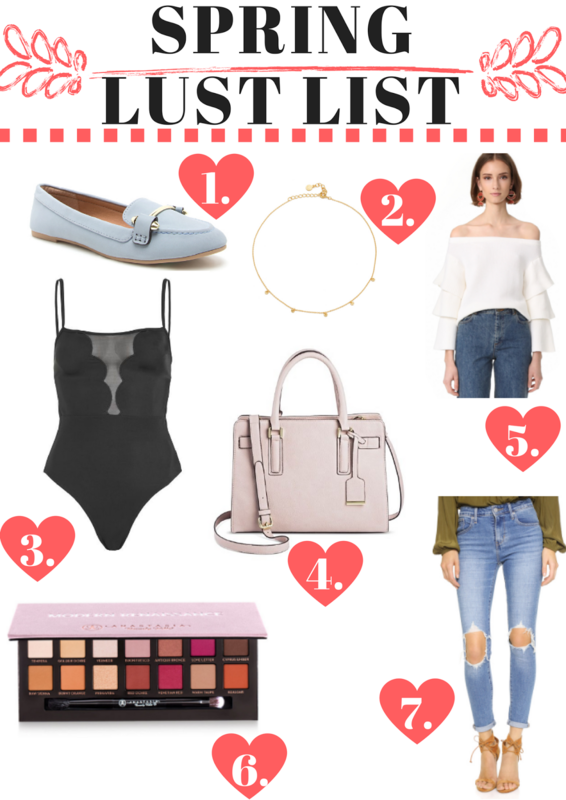 This is my lust list that includes some items that I really want to buy in the upcoming months...check it out! Have you seen all the cool Gucci loafers around? Well, they cost like $750 bucks but luckily I've found TWO dupes for them here: These loafers from Target are black so they go with everything and are affordable at $23. The other pair are from Steve Madden for $30. Chokers come in so many varieties but I'm into these dainty ones at the moment. I love the gold chain. This super cool mesh one-piece is so cool and I'd love to be able to pull it off! I love TopShop for their swimwear and this one is no exception. Of course I still want more bags because handbags are my weakness...and this Target one is so affordable at under $40! How could I leave out ruffle tops?! They are such a statement piece when worn with ripped denim jeans (like the Levi's that I want!). And if I wanted to splurge on a palette, I would buy myself the Modern Renaissance one. My fave Zoella showed it in her last favorites video and she can pull off rosy eye shadow so now I want to try it for myself! Absolutely love your picks! So cute! The ABH Modern Renaissance palette is the best- I adore mine and use it pretty much daily.